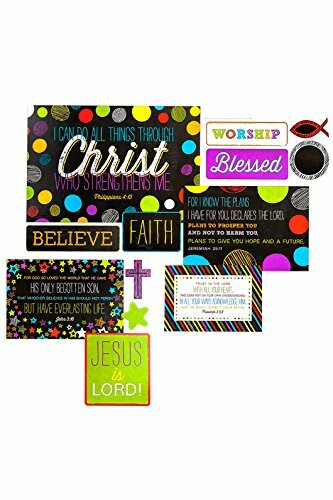 Monthly Religious Bulletin Boards Deals. Halloween Store. Incredible selection of Halloween Costumes, Halloween Decorations and more! 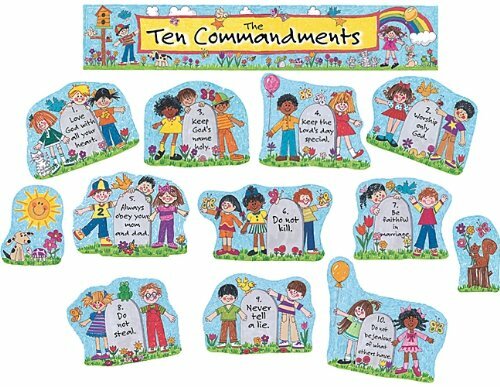 Display this colorful bulletin board to help teach the 10 Commandments. 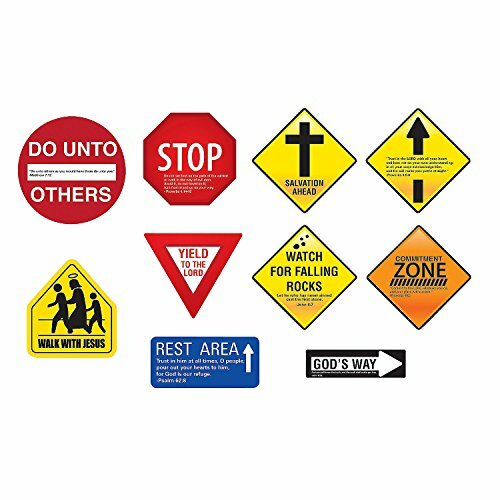 For your VBS program or youth Sunday school, these Inspirational Road Signs have messages kids of all ages can take to heart. 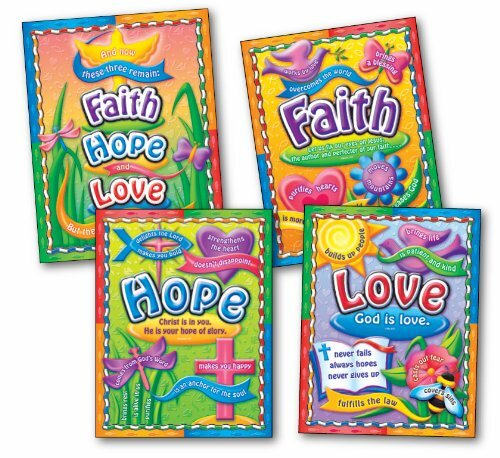 You can use these as decorations or party favors or giveaways for kids. These signs are large and perfect for decorating purposes for bike rodeo programs, spiritual sessions and even race themed birthday parties and events. 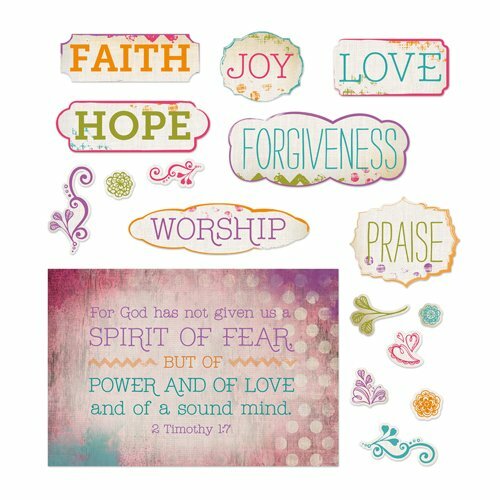 Each sign has a spiritual message and some designs include verses from the Bible. Cardboard. (10 pcs. 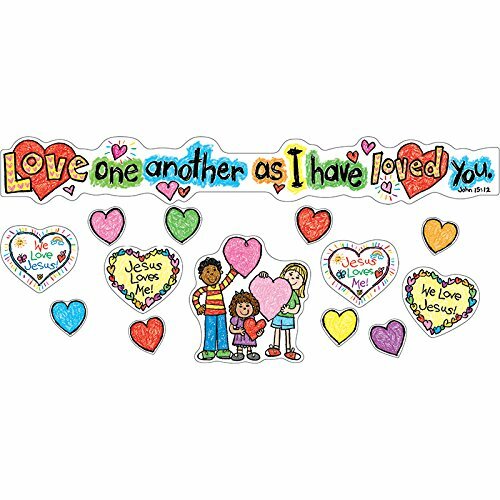 per unit) 13" - 26"
Celebrate God's goodness by expressing your gratitude in everyday life! 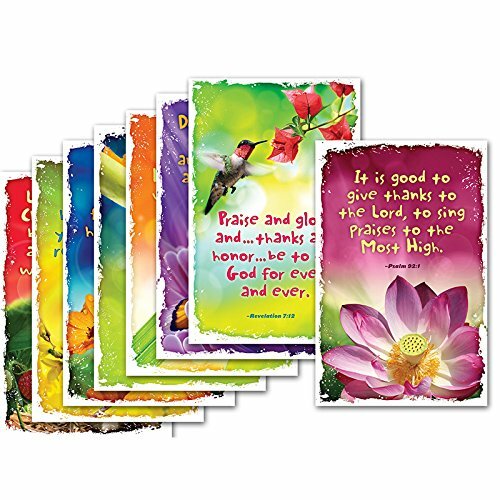 Eight 11x17" posters feature the brilliant colors and intricate forms of nature, accompanied by corresponding Bible verses about thankfulness.